The Isocrete name is synonymous with quality floor installations. If you have a problem with a new or existing floor, Isocrete have the solution. Click here for the Isocrete Product Selector. Ranging from thin self levelling screeds up to structural screeds, Isocrete have BBA approved systems for every eventuality. The fast drying 'K' screed is the product known to everybody within the industry. J.H. 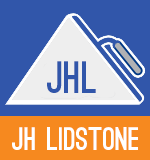 Lidstone are the longest serving 'K' screed licensee, dating back to the 1960's. 'K' screed is distributed and installed throughout a network of certified applicators, ensuring the highest possible standards are maintained. Combining the screeds with a modern underfloor heating installation such as Isowarm, all installed by J.H. Lidstone, will ensure that one company has the responsibility for the floor zone. J.H. Lidstone are proud to have been associated with Isocrete for such a long time. The list of products expands on a weekly basis, from screeds, DPM's, epoxy coatings and screeds, to industrial wearing surfaces. In conjunction with Isocrete, we can offer site surveys, advice, specifications and quotations for any problem you may encounter.